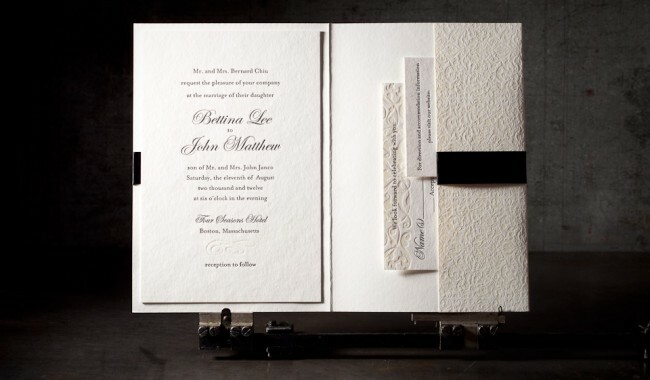 an elegant wedding invitation in black ink. designer: Amy Graham Stigler and Racheal Bumbolo. 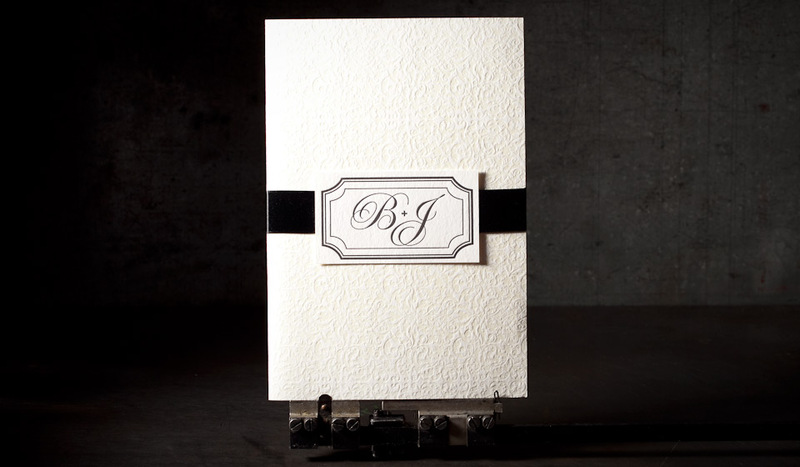 client: Allure Invitations, Framingham, Massachusetts. 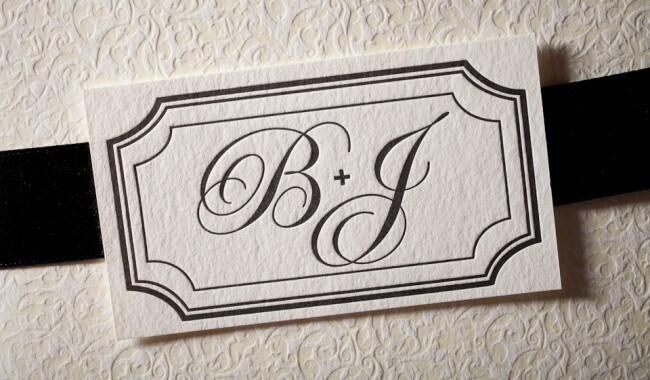 2 letterpress inks (black + blind deboss), 1 offset ink (black). 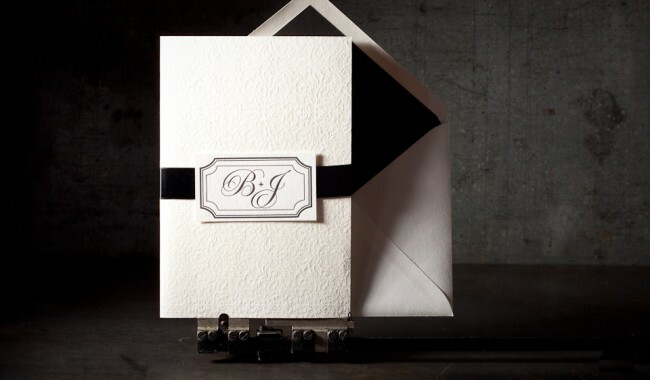 letterpress invitation (5.125 x 7.75), reply card + envelope, website card, tags, custom folio with ribbon, letterpress monogram tag, lined outer envelopes.